For IT support, cyber security solutions, VOIP and websites, iTeam acts as your own proactive IT department and trusted advisor. 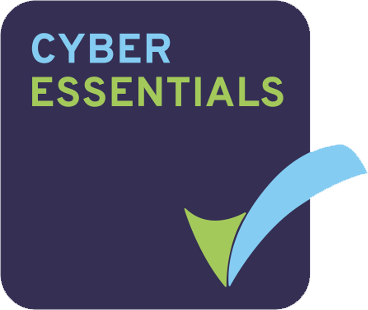 80% of all cyber attacks can be stopped using the steps required for Cyber Essentials Compliance. iTeam provides high quality IT support and cyber security solutions to small and mid-sized organisations in Bristol, Bath and the South West. IT systems are vital to your business. We provide prompt and reliable support and solutions to keep your network and data secure. iTeam is an MSP. We don’t just react to fix problems but provide and maintain services such as email and cyber security. Our standard IT Support contract. We look after all your systems and our fully staffed helpdesk is available to help you during working hours. TSSM is our cyber security add-on that safeguards your data and enables you to become Cyber Essentials certified. Is iTeam right for you? You’re a business, not-for-profit or charity with between 2 and 200 staff. Your offices are in the South or South West though you may have branches elsewhere. You take both IT and data security seriously. You may be an accountant or financial advisor or be in another professional sector such as health and safety, marketing, distribution or even a theatre. You might have a problem with your existing IT systems or provider or be concerned that your cyber security measures might not be adequate. You like the idea of your IT support company doing more than just reacting when you have a problem. We’re based between Bristol and Bath and cover a wide area of the South and South West. We’ve been providing business IT support for over 14 years. We hold several industry recognised certifications and are a Cyber Essentials Certification Body. We use monitoring systems, helpdesk and remote support to look after business IT systems, and whilst we’ve always had security in mind, cyber security is now increasingly important to us and our clients. Or use the button below to be taken to our contacts page. Based between Bristol and Bath but covering a wide area of the South West, we provide IT support for organisations of between 2 and 200. Find out more. Registered in England and Wales with company number 5068978.